Once in a while you come across a project that you can’t help but share. One that exemplifies the way people across the globe are using Raspberry Pi to make a difference in ways we didn’t quite anticipate. HolaMundo is one of those projects. They’re using Raspberry Pis for the training they describe (click CC for subtitles to the signed and spoken parts of the video). ¿De qué trata el proyecto? Se trata de darles una opción a estos jóvenes con discapacidad auditiva y de escasos recursos. Brindar una base tecnológica a 12 jóvenes con discapacidad auditiva a través de un curso presencial de cómputo y programación dividido en 3 partes: Introducción a la computación y al Internet Diseño de sitios web con HTML5 y JS Introducción al sistema operativo y funcionamiento de Raspberry Pi ¿Cómo vamos a utilizar el dinero? 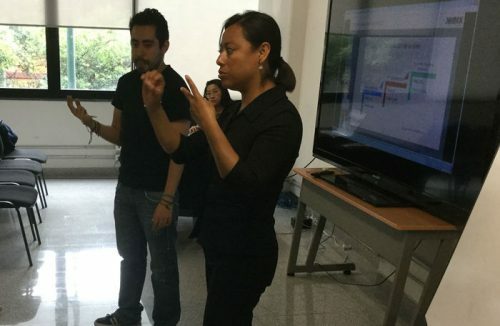 Alejandro Mercado and his team in Mexico City are currently crowdfunding to build a teaching programme for young people with a hearing disability. The programme aims to help educate them in computing and web design using Raspberry Pi, with the objective of increasing their educational and employment opportunities in the future. 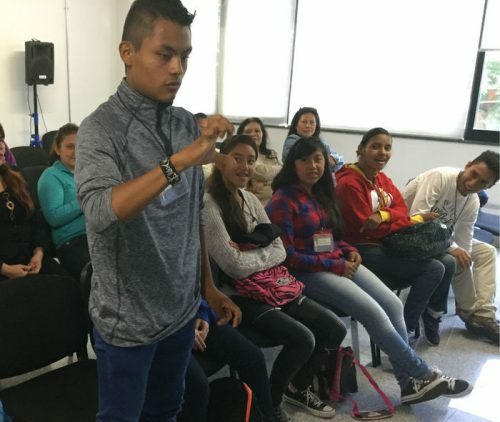 For young people in Mexico City such as Jorge (the star of the campaign video), the prospects moving forward for those with a hearing impairment are slim. The programme aims to increase the opportunities available to him and his fellow students so that they can move on to higher education and find jobs that might not otherwise be accessible to them. Projects like this remind us of the capacity of our low-cost computer to provide educational opportunities in all kinds of settings. We’re thrilled to see determined educators worldwide using Raspberry Pi to give young people new opportunities and wider prospects. If you’d like to donate or simply learn more about the project, visit HolaMundo’s donadora page. Hey Andrew! Alex Mercado I´m the coordinator of this special project just to say thanks. We are a little closer with your help to reach our goal, we are confident that we are going to be a differentiator factor in this young people life. Very neat… My mother had severe hearing loss (90% in one ear, 95% in the other). Her first hearing aid used vacuum tubes. One of the big advances for the community was California state program to provide TDD units for everyone who needed one. Around 1980 I was able to ascertain that a conventional 300 baud modem would connect to a TDD. The TDD ran at 110 baud (but just try to find documentation for that…). So sound *does* travel through a vacuum? As someone with a hearing loss and programming experience (Pi, Arduino, etc. ), this is a great program to show these kids how much fun programming can be and the types of jobs that need programmers.